Considered to be China's most celebrated acrobatic company, the performers of the Amazing Acrobats of Shanghai have stunned and amazed audiences all over the world. 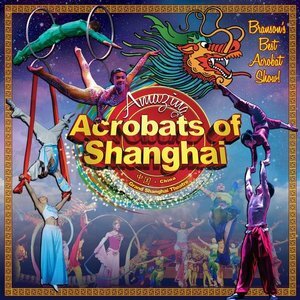 Over 40 Acrobats of Shanghai, China showcase dramatic interpretation of classic Chinese dance and physical performance art with extraordinary and inventive feats of strength and skill, control and balance, grace and charisma. This is truly a show that all ages will enjoy and find themselves in awe of the abilities demonstrated by the amazing performers.